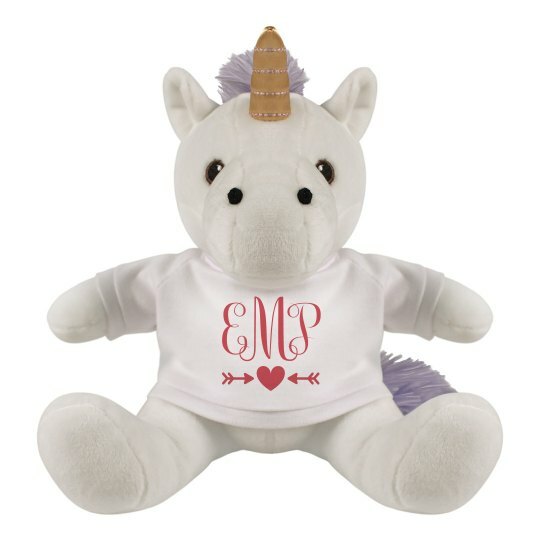 Your initials on monogram on this cute customizeable unicorn plushie will definitely make Valentine's Day extra more lit! This will be perfect for a Valentine present and this will surely be with her until he falls asleep in your arms! Grab yours now!